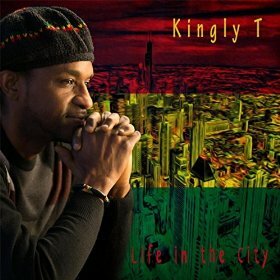 Reggae singer and guitarist Kingly T has been active in the genre for decades now, and the veteran’s newest record sees him creating a more obviously transnational project than his previous efforts. Having relocated from his home in Kingston to Indianapolis, IN, Kingly T’s band features himself and Anthony “Screw” Hunter, both Jamaican transplants, as well as bassist Dave Grove and keyboardist and Jennifer Grove, who are both Indiana natives. While the music pulls primarily from Kingly T’s own interpretation of reggae, the two Hoosiers both perform the genre with confidence and competence. A couple of the songs on this record, “Baby I Want You” and “Eastward Bound,” are older numbers that T has retooled for this release, while the rest of the album contains new compositions. 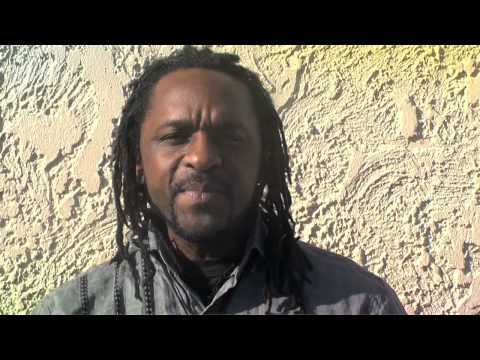 T’s songs are often on the subject of interpersonal relationships, but dig into reggae’s socially conscious roots on tracks like “Teach Them,” the Afrocentric “Eastward Bound,” and the album’s title track. The band lays into solid grooves throughout the course of Life in the City, animated by T’s guitar playing, with a jazz-inflected approach to reggae that falls somewhere between George Benson (most clearly heard on “Baby I Want You”) and Peter Tosh, whose influence permeates the rhythm guitar parts throughout the course of this record. It would be interesting to hear what this band is capable of in a less constrained context than a studio record—the teaser guitar and horn solos (played by Ryan Marsh on saxophone and Drew Darby on trombone) that permeate this disc leave the listener hungry for more extended versions of these songs. This entry was posted in Reggae and tagged Kingly T, Life in the City by aaamc. Bookmark the permalink.